ABC has pulled Time After Time from its schedule, a move that basically signals the end for the freshman series. 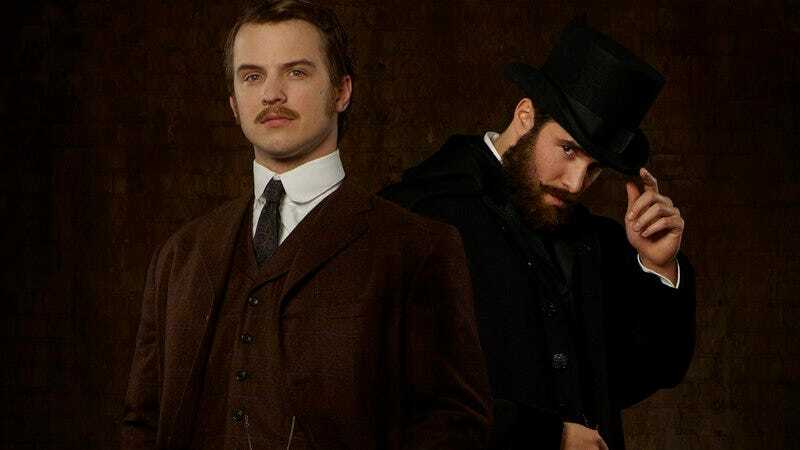 A dumb time travel drama that cast ruggedly handsome actors as Jack The Ripper and H.G. Wells, Time After Time only averaged 2.2 million viewers a week, even in its plum Sunday night slot. It’s only the second scripted series cancelled this season; the first was CBS’s Katherine Heigl law drama Doubt, which bit the big one in February after only airing two episodes. Time After Time’s time slot will be filled by episodes of the Alec Baldwin-hosted Match Game for at least the next three weeks. ABC will probably be forced to switch things up after that, assuming that the campy, celebrity-laden game show isn’t necessarily what viewers will want to watch right before American Crime.